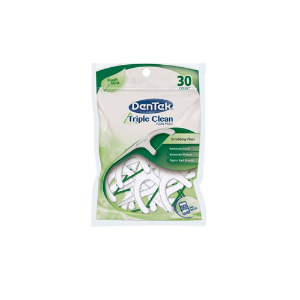 Three ways to get your mouth three times the clean. 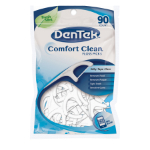 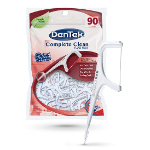 DenTek Triple Clean Floss Picks give you three times the clean of other floss picks. 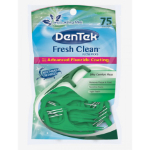 Improved with break proof scrubbing floss, Triple Clean is now better than ever, and ready to conquer the tightest of teeth. 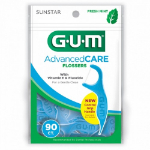 Clinically proven as effective as rolled floss! 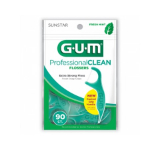 Want a floss pick that scrubs between tight teeth, stimulates gums, and remove the germs that cause bad breath better than any other floss pick? 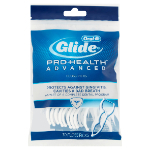 Gently slide floss up and down between teeth allowing the floss to wrap around teeth. 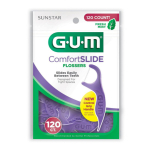 Use an in and out motion to remove food particles and stimulate gums.